Arsenal will reportedly launch a bid for Genk winger Leandro Trossard this summer in an effort to strengthen their attacking options. The 24-year-old has impressed so far this season, bagging 17 goals and eight assists in 29 appearances in all competitions, and so it’s no real surprise that he has reportedly attracted interest from elsewhere. According to Football.London, Arsenal are being tipped to make their move for the Belgian, although it remains to be seen whether or not his touted £22m valuation from Genk is enough to put the Gunners off. 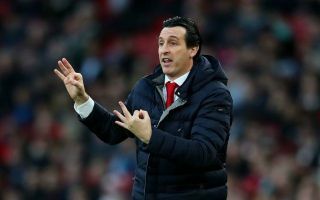 Further, perhaps much will depend on whether or not Unai Emery can successfully guide Arsenal back into the Champions League, as qualification for Europe’s premier competition could have a major impact on the budget the Spanish tactician has for the transfer window. What is arguably clear though, is that he could do with adding a different dynamic to his attacking options, with the ones at his disposal currently mostly preferring to play in more central roles. Mesut Ozil, Henrikh Mkhitaryan, Pierre-Emerick Aubameyang and Alexandre Lacazette all undoubtedly prefer to play through the middle, and so bringing in Trossard could help add width and a different threat to Arsenal’s attacking play. The report specifically notes that no agreement is in place over a transfer fee yet, and so time will tell if Arsenal can indeed secure a deal for Trossard, or if they are forced to look elsewhere if that price-tag is deemed to be excessive. Considering he hasn’t proven himself at the highest level on a consistent basis yet, it could be enough to force Arsenal to consider other options if available this summer.